Well, here I am writing another blog for InteRDom! First off, the basics about my employer: I am here as an InteRDom intern within the Social Community Projects department of Grupo PUNTACANA, a huge resort corporation (which includes two hotels, golf courses, water/power/security infrastructure, lots of restaurants, an ecological preserve, an outdoor shopping area and more). While being the very first resort in Punta Cana and spearheading the whole tourist industry in this region, Grupo PUNTACANA has taken it upon itself to contribute and improve the local communities through development projects in health, education, culture, sports and environmental protection. 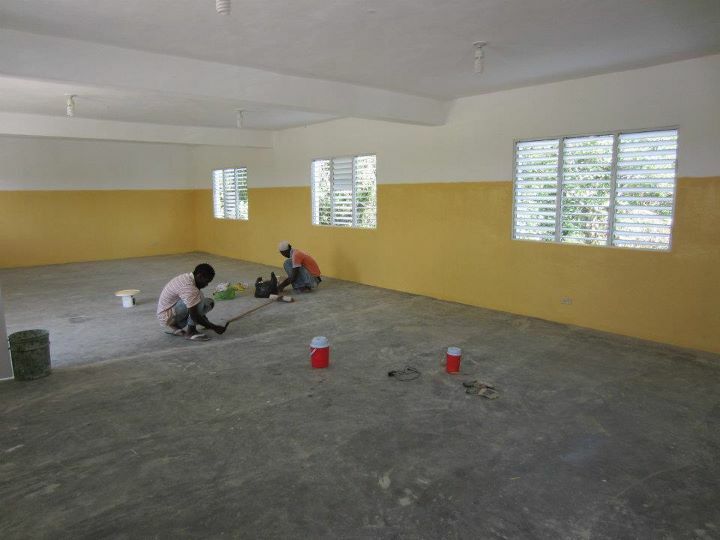 The Veron Polytechnic Sch ool, created by Grupo PUNTACANA, is an example of a successful educational project. 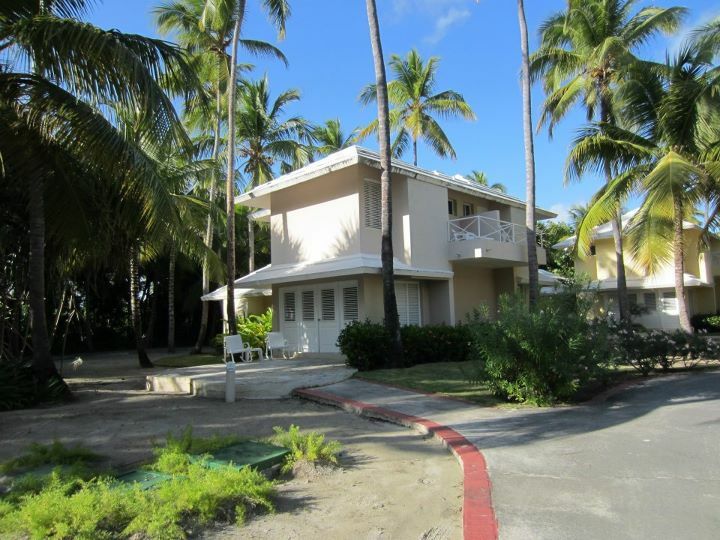 Within this tidy and well-run school, along with basic education classes for the youth of Veron, adult classes are also offered which give training in a variety of resort jobs. In other words, while Grupo PUNTACANA is contributing to the overall education of the local community, they are also contributing to their own workforce of resort employees. This is a melding of social corporate responsibility to the community and a responsibility for the fiscal growth of the company.. Taking a quick look at some other areas of community development/protection within Grupo PUNTACANA, we have the Ecological Foundation. This is extensively focused on and devoted to protecting the natural beauty of the environment. Their efforts toward protection of the flora and fauna and the marine and animal life is astounding, as is the vast amount of talented scientists and students who come here to study and contribute. Another aspect of Grupo PUNTACANA’s contributions is the local free health care clinic in Veron, which was completely renovated from a decrepit building to a clean and working clinic by Grupo PUNTACANA and now run in cooperation with the Virginia College of Osteopathic Medicine (VITCOM). VITCOM organizes “medical missions” in the community and supplies the medical staff within the clinic- again we see a huge amount of educated and valuable professionals coming to this region through the efforts of Grupo PUNTACANA. Everyone benefits: the local community gets better health care access, the VITCOM medical students gain experience and Grupo PUNTACANA receives a relatively healthier region for its tourists, as well as a stronger and healthier workforce. 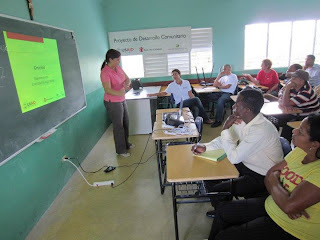 As for my specific role within Grupo PUNTACANA as an intern, I deal with supporting the educational projects. Right now, we are building a new primary school and then improving the computer lab in an existing school. Because I am basically here as educated brainpower, I have a lot of freedom in my position to brainstorm ideas, suggestions and activities to supplement our projects. Besides the contributions I come up with as the days go by, my set responsibilities include creating a formal paper on the state of public education in this region through an extensive interview series (with local stakeholders) to understand the impact the new school will have on the community. Secondly, I am responsible for sitting in on the computer classes in the lab we will improve, and observe the teaching methods, computer programs used, and interviewing the teacher and students to find things we can make more efficient. I will also be collaborating with the local Peace Corps members here on an educational project, I will be giving a presentation to a local school on the importance of community development, and then contributing to a new statistical analysis of graduated students from a public school. I could go on and on describing the small tasks and activities I have, but there’s limited space here, so let me just say: my plate is quite full with a variety of engaging and fulfilling things! My living situation here is quite nice. I live within the hotel grounds, in a clean and well-maintained little guest house about 3 minutes’ walk from the beach. It is breathtakingly beautiful in the “white sand beaches/turquoise sea/and warm, humid breezes” way that tourists all over the world seek. It really is paradise. Since I have arrived, my Spanish has improved a lot, but it is still difficult. One of my main preoccupations is figuring out how to still be a valuable intern without being perfectly fluent in Spanish, while energetically studying the language in my free time. So far, I have found many ways to contribute adequately, even without perfect Spanish, and it will only get easier as my Spanish improves.